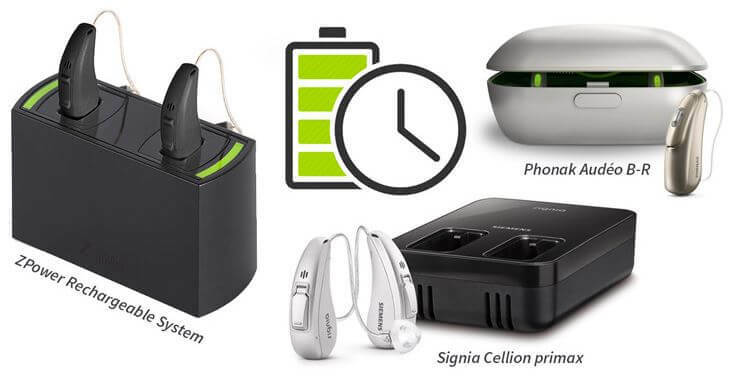 As technology in hearing aids changes, hearing aid battery technology is also changing. There are several styles to choose from ranging from our traditional pull tab batteries to totally encased rechargeables. Zinc-Air batteries are our traditional “disposable” hearing aid batteries that are most frequently used. 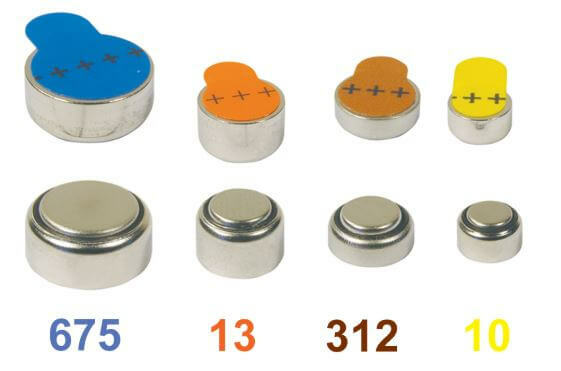 They come in sizes 10, 312, 13, and 675 and require users to pull the tab from the positive side of the battery to obtain a charge. It works by exposing pores in the battery that allow the oxygen from the air to oxidize with the zinc and create the charge. Size 10’s should last between 3-5 days depending on use and size 13’s can last anywhere between 10 and 14 days. When you pull the tab wait 2-5 minutes before putting it in the hearing aid. Allowing more time for the oxygen in the air to react with the zinc in the battery can sometimes give an extra day of battery life in your hearing aid! Consider recycling your batteries after they have been used or expired. Although the environmental impact of the very tiny amount of metal in the batteries is not very large, there still is an impact and the metals can be recycled for use in various industries. In the future I hope that we can look for a totally rechargeable custom hearing aid. For now, stay tuned, and stay charged! At The Hill Hear Better Clinic we are dedicated to keeping your hearing aids at optimum performance levels and make sure you are receiving the maximum benefits of our treatment plans! Call us or email us today to find out how we can optimize your hearing!